It’s a common predicament aboard buses: customers regularly fail to move to the back of the bus, causing crowding, delays, and passups. Fortunately, this is a situation that can be entirely avoided so long as customers are encouraged to move to the back. In order to best do so, buses should both (1) add more handholds in the rear and (2) flip up front seats during rush hour. As a passenger, one of the greatest challenges with standing in the back is the lack of available places on which to hold. Adding these handholds to the back would make the rear a more inviting place to stand, hopefully moving some customers to the very back of the bus. In terms of implementation, buses could be retrofitted with these handholds quite easily so long as the grab bars are already in place. Flipping up the folding seats in the wheelchair area would also aid in the assistance of moving people to the back of the bus, as the first customers onboard tend to want seats (which would only be available in the rear). 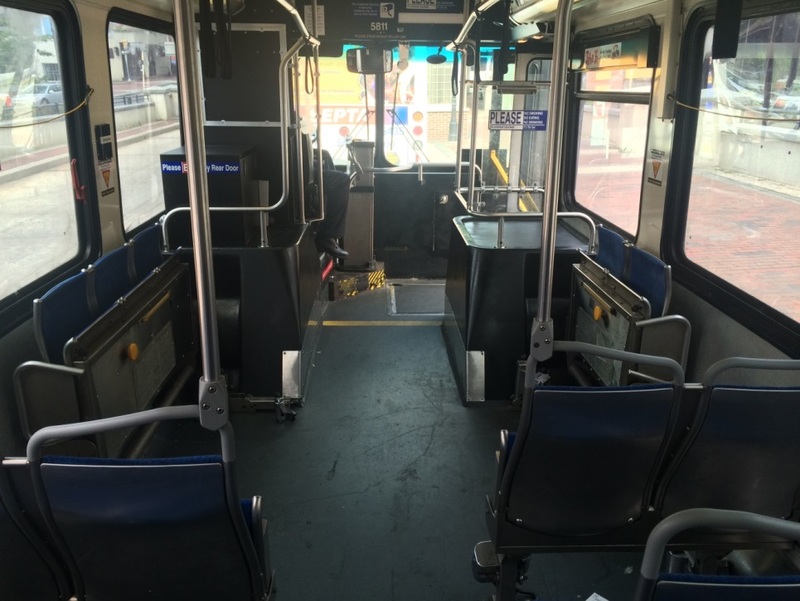 In addition, once the bus starts to fill up, the bus would be able to accommodate more passengers given the increased 10.5 ft2 space and increased capacity (of standees rather than people in seats). 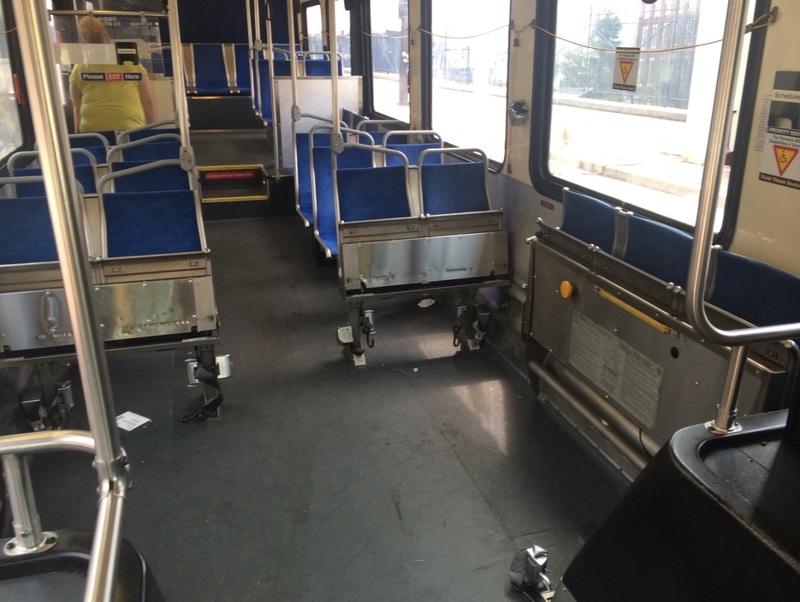 After speaking with some operators in the field, various project designers in SEPTA’s Vehicle Engineering and Maintenance department, a number of concerns related to this project emerged. The most notable concern related to patrons requiring priority seating in the front of the bus. Any modification of the front seats would have to be done so as to meet the needs of elderly and disabled riders who must use a seat near a door (most frequently the front door given the kneeling capability). Meet with SEPTA’s SAC to find a way to have this pilot program maximize space without any detriment to the needs of the elderly or disabled. Review onboard vehicle passenger counters and security cameras to review passenger dispersion and target specific routes or yards for the pilot program. Prior to an official pilot, ask some operators to flip up those front seats during rush hour, then observe customer responses via the security cameras. Launch an official pilot on some of the most crowded routes and develop a survey to garner customer feedback.